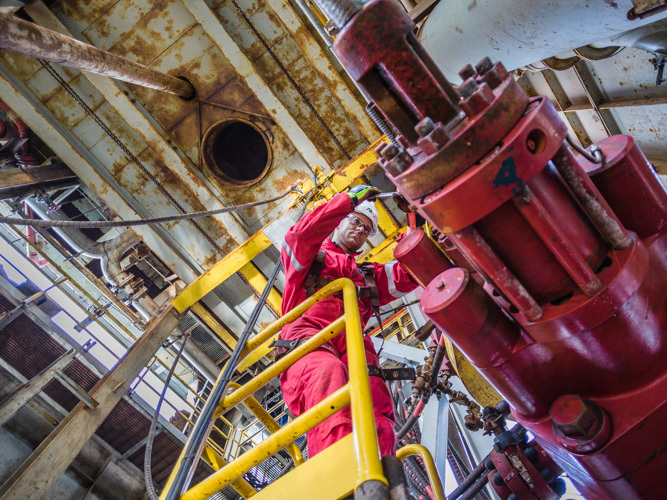 Allrig is the one-stop shop partner for all your asset management needs; from inspection, service and repair, to maintenance and parts supply of key equipment. With decades of expertise, Allrig delivers robust service solutions that go beyond the standard approach. Providing the highest quality is what we were built on and what we apply throughout our work. Implementing smart solutions that do not compromise on health, safety and quality is what we stand for. Delivering the highest quality has always been at the core of Allrig’s identity. Quality is in our DNA; we streamline it though our strategy, training, approach, and in the services and parts we supply. Without quality, everything is at risk, including people’s lives. Providing the highest quality service means more to us than meeting requirements – it is about keeping people safe. We implement smart solutions that do not compromise on health, safety or quality. We understand that revenue efficiency and keeping rigs on day rate is what drives shareholder value for drilling contractors. To ensure that our parts and services conform to the required standards for any given project, we work hand-in-hand with all relevant classification bodies worldwide. Allrig also lends its expertise to industry forums, which define updates to existing standards. Our belief is that sharing ideas and exchanging best practices is key to building a stronger and more sustainable industry. This is why we actively participate in industry-wide discussion groups, such as the International Association of Drilling Contractors (IADC). We maintain and/or follow accreditations, approvals and procedures from the following classification organizations: API, ABS, DNVGL, Lloyd’s Register, BV, ISO, IRATA and LEEA. Allrig also lends its expertise to industry forums, which define updates to existing standards. Our belief is that sharing ideas and exchanging best practices is key to building a stronger and more sustainable industry. This is why we actively participate in industry-wide discussion groups, such as the International Association of Drilling Contractors (IADC).